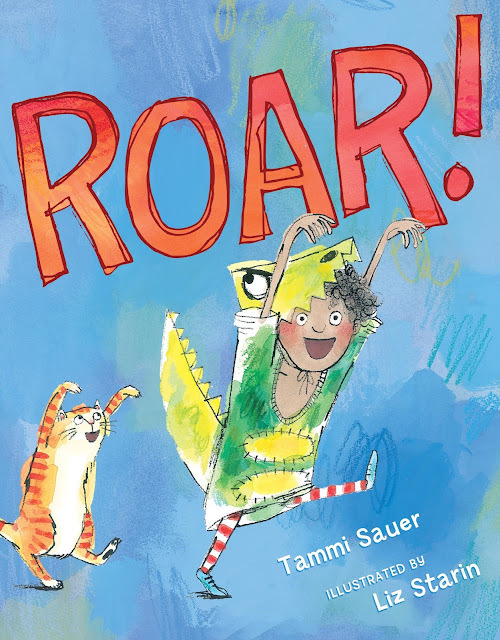 Today KidLit411 is very excited to wrap up its Birthday Bash with bestselling author TAMMI SAUER! Tammi is the award winning author of many books such as NUGGET AND FANG, MR. DUCK MEANS BUSINESS, MOSTLY MONSTERLY, CHICKEN DANCE, COWBOY CAMP, and more. Those two sentences changed my life. I proceeded to write some very terrible stories. Those stories were not a waste of time, though. They were my practice stories. Each one helped me get a little better. Then one night, years later, there was a knock on my door. My husband wasn’t expecting anybody and I wasn’t expecting anybody. We opened the door and saw a kid standing there. He looked like he was probably a fifth grader. He said, “Hi! I’m selling newspaper subscriptions. I’m trying to raise some money. I want to go to cowboy camp.” Well, this kid didn’t look like a cowboy, he didn’t act like a cowboy, he didn’t talk like a cowboy. He was the un-cowboy standing on my porch that night. At first I thought, ooh, I hope he’ll be okay when he gets to cowboy camp. Then I thought, OOH!, this would make a great idea for a story. So I wrote Cowboy Camp about a kid named Avery who goes to Cowboy Camp, he doesn’t fit in, he can’t do anything right, but he ends up being the hero at Cowboy Camp anyway. I sold that book through the slush pile. Ten years later, the book is in its twelfth printing. Yeehaw! Could you tell us a little bit about your newest pb—ROAR! I have always enjoyed using the classic picture book structure: character has a problem/want, character faces obstacles of escalating difficulty, character encounters a black moment in which all seems lost, character manages to solve the problem and grow/change by the story’s end. A few years ago, though, I challenged myself to try a variety of approaches for telling a story, and writing a book entirely in dialogue was one of them. 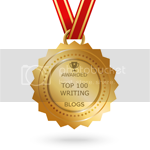 I wanted to stretch as a writer. It was fun. And hard. 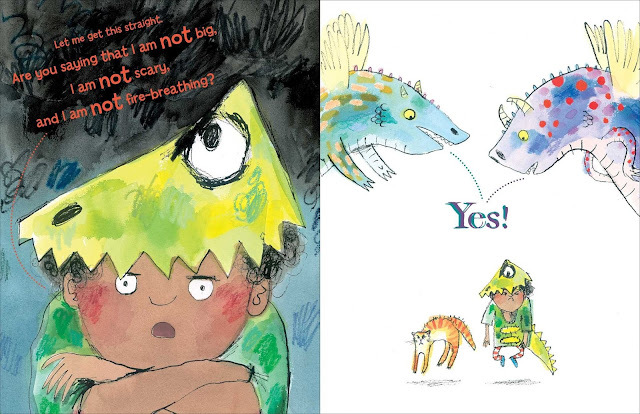 With ROAR!, I set out to tell a story filled with heart, humor, energy—and dragons. Then it was about a little dragon trying to prove to his mom he's big. Then it was about a little dragon trying to prove to his siblings he's big. Those versions were nice, but something always seemed to be missing. Soooo...at the suggestion of my editor Sylvie Frank and her boss Paula Wiseman, I wrote ANOTHER version. This time around the story was about a little boy trying to convince two dragons that he's a dragon, too. This version celebrates that although we are all different in many ways, we also share many similarities. And I knew I had discovered the heart of the manuscript. How did you get the inspiration for this book? When my kids were small, they were always eager to demonstrate the many things they could do. The words, “Look at me! Look at me!” came out of their mouths every day. Through the main character in ROAR!, I wanted to showcase that excitement and joy. I celebrate the weird stuff in my life—the weird stuff is good material for stories. This approach has helped me come up with ideas for many of my books including COWBOY CAMP, CHICKEN DANCE, and GINNY LOUISE AND THE SCHOOL SHOWDOWN. Reading other people’s books often triggers new ideas. I see what’s already out there, and I try to come up with a fresh spin on a story. This approach led to ME WANT PET! and MOSTLY MONSTERLY. Sometimes, I start with a setting and ask myself the question, “What can go wrong here?” That’s how NUGGET & FANG got its start. Once, I was reading Linda Ashman’s The Nuts & Bolts Guide to Writing Picture Books which is, in my opinion, the best $20 I have ever spent on my career. One of the exercises in Linda’s book was to rework a familiar song or rhyme like “Twinkle, Twinkle Little Star” or “Mary Had a Little Lamb.” Out of nowhere, the title "Mary Had a Little Glam" popped into my head. I went on to write my first rhymer (!!!). MARY HAD A LITTLE GLAM, illustrated by Vanessa Brantley-Newton, struts onto the scene in August. Basically, ideas are everywhere. We just need to pay attention. Ha! I don’t think I have one. I will say that coming up with a good idea is the absolute hardest part of the process for me. Some people can come up with 236 ideas before breakfast. I am not one of those people. Janee Trasler, one of the highly esteemed gals in my critique group, has her own thoughts about my process. Decide that she will never have another idea as long as she lives. Call critique bud in despair. Hear from agent 5 minutes later that manuscript is indeed brilliant. Hear from editor 5 minutes later that manuscript is brilliant. “My main considerations for any picture book are humor, emotion, just the right details, read-aloud-ability, pacing, page turns, and of course, plot. Something has to happen to your characters that young readers will care about and relate to. Oh, and you have to accomplish all that in as few words as possible, while creating plenty of illustration possibilities. No easy task.”—Lynn E. Hazen. Tammi Sauer is the author of the best-selling Cowboy Camp (Sterling, 2005), which was a 2006 finalist for the Oklahoma Book Award; selected for Nevada Young Readers’ Award Reading List for 2007; and selected by the Oklahoma Center for the Book as the premier Oklahoman title at the 2007 National Book Festival. 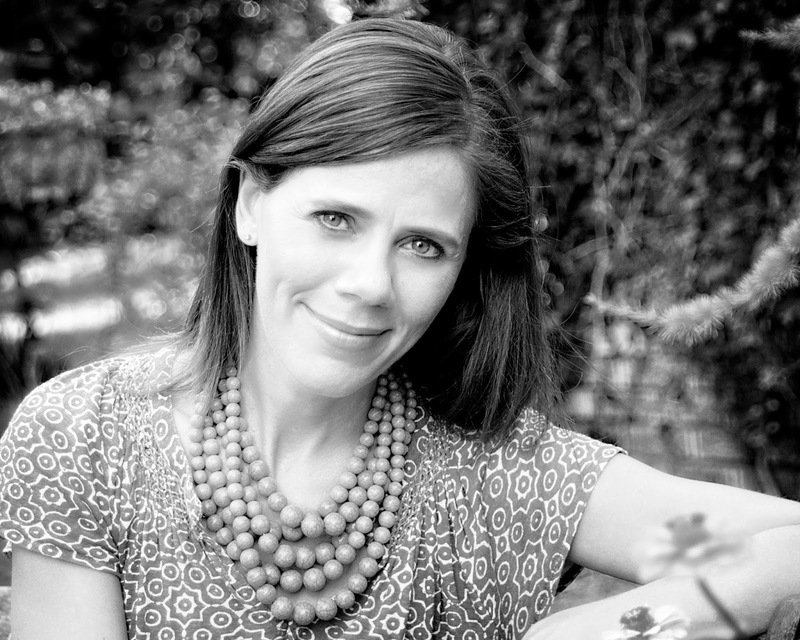 She is an active blogger (www.tammisauer.com) and highly involved in the children’s writer community. Tammi graduated from Kansas State University with a BA in Elementary Education and has worked as a teacher and library media specialist. You know I love your work, Tammi, and I love your process, too! I challenge myself in much the same way...reading makes a huge difference! Can't wait to read more and more of your books as they are released. I know you will have lots to come! Tammi, you are an inspiration to us all! Love Linda Ashman's NUTS & BOLTS book, too. Loved the interview and how u came up with Mary Had a Little Glam! Thanks for sharing! This was as much fun to read as your books! Having an eye for the playful is a thread I heard. And embracing the doubt. And in the middle of the playful, having that solid seed kernel of truth. Thanks for this reflection on your journey. Hi, Tammi! Thank you for sharing "your" process. I really like the cover and concept of ROAR! Such fun! Mary Had A Little Glam, huh? Sounds terrific. Glad Tammi's isn't wearing a seatbelt! So enjoyed this interview! Thank you Tammi for all the great tips. Some great approaches to coming up with PB ideas. I do like the one about the boy going to cowboy camp. Tammi nevers fails to inspire! What a great interview, Tammi! Thank you for giving us a peek at your writing process. I love that you celebrate the weird in your life! Thank you for sharing such an inspiring interview! Congrats on all your success and wish you much more in your future endeavors! Tammi always inspires! Went from "fan" to "SUPERFAN" at the NJ SCBWI when she spoke. Love, love, love your work Tammi (oh, and the spelling of your name too. I have a sister Tammi with an "i") :) Can't wait to read ROAR! Thank you for sharing your process with us Tammi! Congratulations on your continued success in the PB industry. Great interview! So funny about Janee's take on your process. Roar! sounds like a really fun read. Thank you, love your work, and enjoyed hearing about how your ideas happen and change and become books! 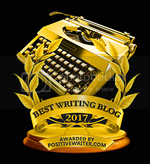 Love your books and this post strikes my heart with inspiration and thought about the way I should approach my writing. Thank you, Tammi! Always love hearing more from Tammi. Love your process lol. Thanks for sharing your experience and "process," Tammi! Wonderful interview. Tammi, you books are some of my faves!!! So fun hearing details of your writing life. I really love your books Tammi. Thank you for the help. Loved learning more about you, your books and where you find your inspiration! Thanks, Tammi. I feel your fun personality in this post!!! Tammi, you are a true inspiration! Tammi = creator of hilarious worlds with memorable characters. Having heard Tammi speak before, I can say that she is all kinds of brilliant and hilarity and I love hearing/reading about her writing process! As I was reading each of your books I was thinking "Why didn't I think of that?" Well, I guess because I never had a kid come by selling things to raise money for cowboy camp. I will pay more attention to my surroundings and experiences and search for those hidden ideas. Terrific interview. Thanks for this post. Now I have some more reading to do. Thanks Tami! I enjoy your books, especially Roar. I was paying close attention at music class this morning for some inspiration. Wonderful interview, Tammi--and I agree with Dr. Hancock! Thanks for the Nuts & Bolts plug, too!